In the sixth novel in Harry Sidebottom’s bestselling Warrior of Rome historical fiction series, Ballista returns to undertake yet another epic mission—while the Roman Empire reels in chaos around him. In AD 264, the Roman Empire has been torn in two. The western provinces—Gaul, Spain, and Britain—have been seized by Postumus, the pretender to the throne. To the east, on the plains of northern Italy, the armies of the emperor Gallienus muster, and he is keen to take his rightful place of power. A war between two emperors is coming, and everyone must choose a side. On a mission shrouded in secrecy and suspicion, Ballista is sent by Gallienus back to his home of Hyperborea, the place of the people of his birth, to raise an army against Postumus. This means Ballista must journey along the Amber Road to the far north. Along the way Ballista meets a fearsome, masked warlord who attacks, bringing fire and sword against Ballista and his men. And in his home of Hyperborea, not all welcome Ballista’s return. In the battle between Postumus and Gallienus, only one can survive and be emperor. 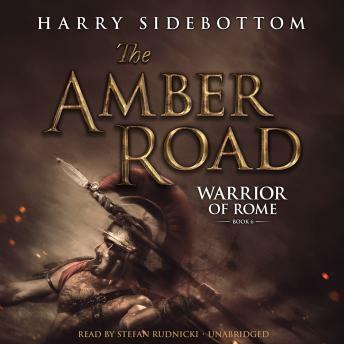 Renowned for their skilled blending of action and historical accuracy, Sidebottom’s Warrior of Rome novels take the reader from the shouts of the battlefield to the whisperings of the emperor’s inner circle. Rich in detail and punctuated by harrowing action, these books will transport you back to the days of the Roman Empire.